There were times when you had to convert a video player to other formats so as to be able to view it on your mobile phone. Well, that is not the case nowadays. 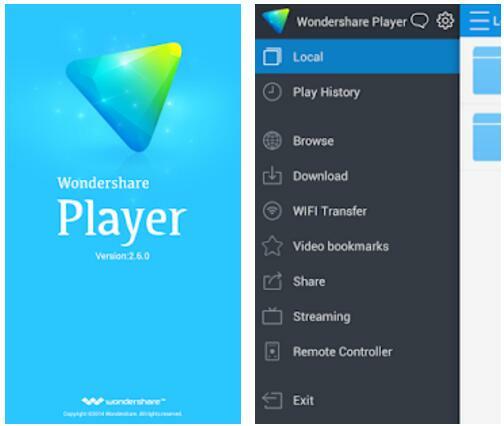 You can now enjoy a high-definition viewing especially with the emergence of third-party apps which include the best video player for Android. 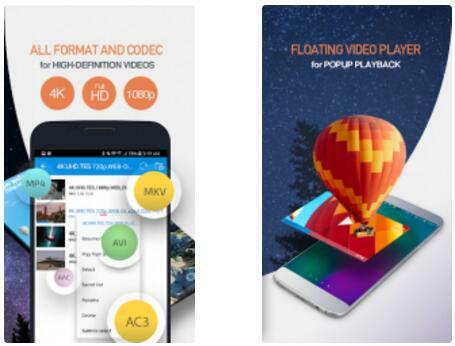 Your Android phone will be turned into one of the best video players with just a few clicks. Besides, it doesn’t matter the format that you prefer. Take a quick look to know which app will suit your needs from this list. This tool will give you value for your bucks. It supports multi-track audio and subtitles, making it a cross-platform app. Its user-interface is well constructed, enabling you to effectively navigate through as you organize your files. Furthermore, you can turn to full screen when you need to have a good view of your video. Its built-in five-band equalizer is also worth taking note of. Pros: 1. It comes with a built-in five-band equalizer. 2. You can turn to full-screen view. 3. It is easy to operate. Cons: 1. It doesn’t have many features as other of its peers. This HD player for Android comes with a free version that you can make use of before you graduate to the premium version. 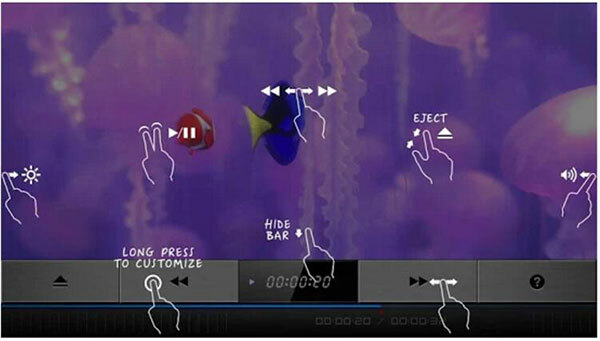 The latter version opens to more features, including the ability to pause and resume your video as you wish. MX Player also enables you to easily switch to portrait mode in just a swipe. It performs above the notch as it supports all the common file formats and subtitling as well. Pros: 1. You can pause and resume your video instantly. 2. It has a portrait feature that lets you switch from portrait to landscape mode. 3. It supports the common file formats. Cons: 1. You have to switch the main folder view to ON/OFF from the settings icon, which seems tedious. 2. The free version has a lot of ads that are so annoying. This mobile video player offers three-in-one service. Besides being a video player, you can use it to play music and access your photos. It has a built-in browser that can trawl and get your stored videos as well as online videos. This best Android media player also has got 10-second skip controls that you can use to forward and take your videos back. Get your videos instantly via the folder view. Pros: 1. It has both a folder view and 'all' viewability. 2. You can use it to play music, besides watching videos. 3. The 10-second skip control enables you to skip back and forth. Cons: 1. It is a bit expensive. 2. You are not able to pause and resume your videos from the screen. For those who love high definition videos, this app will take you a long way. You won’t have to rely on the software’s accelerators because the app actually uses your phone’s processor. So the higher your Android phone version, the better the playback rendered, making it the best HD player for Android. 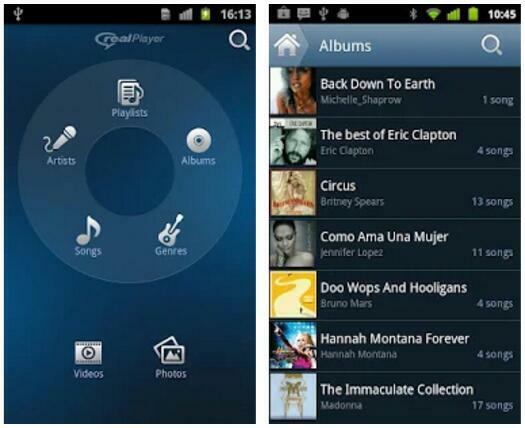 Rock Player2 has advanced features that will make your video watching a fun and easily controlled. Among them is the file management feature that enables easy file sharing over Wi-Fi connection. Furthermore, its customizing feature has up to 15 different control buttons for other uses such as the lock and shareability. Pros: 1. It uses your phone’s processor giving it better performance ability. 2. It supports both Android and iOS devices. 3. It also has a camera slot for picture taking. 4. You can lock your videos for privacy. Cons: 1. The user-interface is not so friendly as it has many features and buttons. Use this app for high-quality video streaming as well as playing your videos. Its multi-tasking ability elevates this app to a much higher notch. Its screen can enable you to work on different windows at the same time. You can play music and stream your videos at the same time. Besides, you don’t have to worry about your language as this app has inbuilt support for over 25 languages. Use this HD player for Android for playback on numerous media formats. Pros: 1. You can use it to play numerous media formats. 2. Other than Android OS, it supports a wide variety of operating systems like iOS and Windows OS. 3. It also allows you to work on different windows. Cons: 1. It can cater for multiple windows, which makes the screen crowded at times. 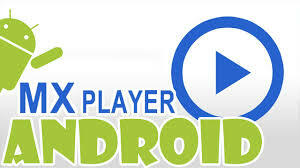 This Android media player app has got many features, making it easy to use. These include a subtitle downloader, multi-track audio and internal hardware acceleration among others. It also supports various video and audio formats, enabling you to enjoy everything on the globe. For security purposes, use its video locker and hiding capabilities to keep all the goodies to yourself. Resize your videos as you wish while on the floating window. Pros: 1. It has an easy to use interface. 2. It supports numerous video and audio formats. 3. You can lock your videos as well. Cons：1. It is not compatible with many operating systems. This is another app that you can use to play your videos. You can actually copy and then paste your video links into the app to save for later use. The better part is that this app has a built-in browser that enables you to search and playback your videos at any moment. However, you need to do a few clicks before you get your videos as there is no menu option to bring to front the library. Pros: 1. It supports most of the file formats. 2. You can paste your links and continue your video play. Cons：1. It does not detect folders on the device hence the search may be long. Even though SmartPhones have the ability to perfume several duties such as play videos, getting high quality on such a small device can be really cumbersome. This is the reason why you need any of these best video players for Android. They will enable you to play your videos in any format as well as make use of other functionalities from their unique features.